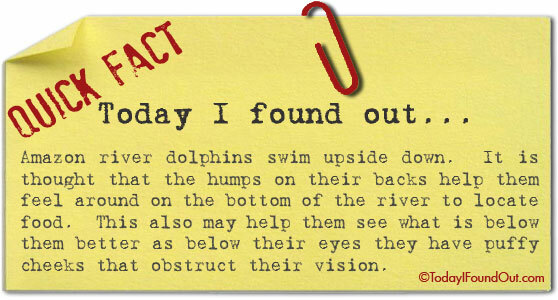 Amazon river dolphins swim upside down. It is thought that the humps on their backs help them feel around on the bottom of the river to locate food. This also may help them see what is below them better as below their eyes they have puffy cheeks that obstruct their vision.